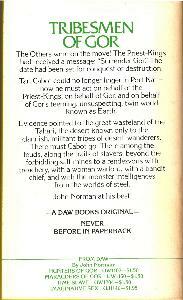 Based upon estimated publication year, this printing might have also been part of the Gor 1 - Deluxe Boxed Set. The Others were on the move! 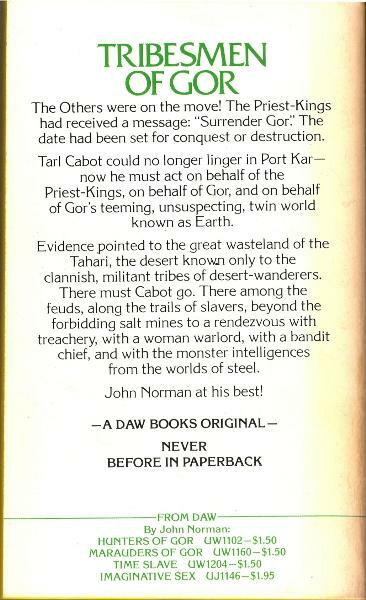 The Priest-Kings had received a message: "Surrender Gor". The date had been set for conquest or destruction. 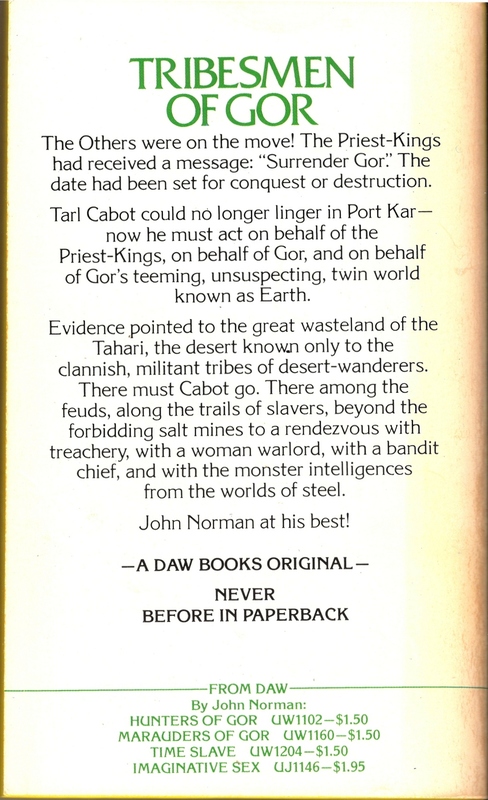 Tarl Cabot could no longer linger in Port Kar - now he must act on behalf of the Priest-Kings, on behalf of Gor, and on behalf of Gor's teeming, unsuspecting, twin world known as Earth. Evidence pointed to the great wasteland of the Tahari, the desert known only to the clannish, militant tribes of desert-wanderers. There must Cabot go. 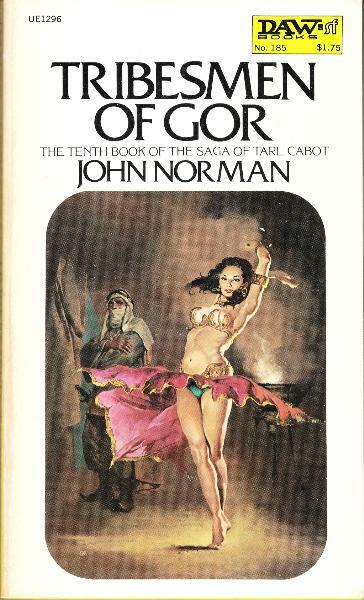 There among the feuds, along the trails of slavers, beyond the forbidding salt mines to a rendezvous with treachery, with a woman warlord, with a bandit chief, and with the monster intelligences from the worlds of steel. 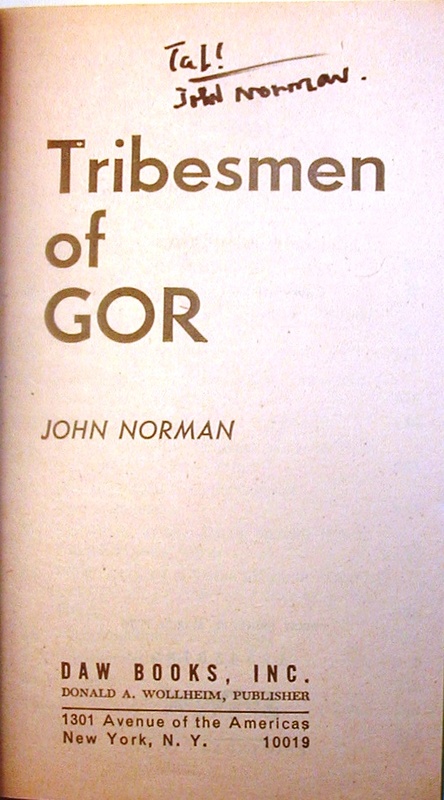 John Norman at his best!